Contra rotating systems driven by piston and gas turbine engines are well known for their superior performance but require complex variable pitch propellers to be efficient. This is because the engine drives are unidirectional and operate over a very limited rpm range. By contrast the two CRPS motors are fully reversible and drive the propellers over a huge rpm range without any form of gearing. 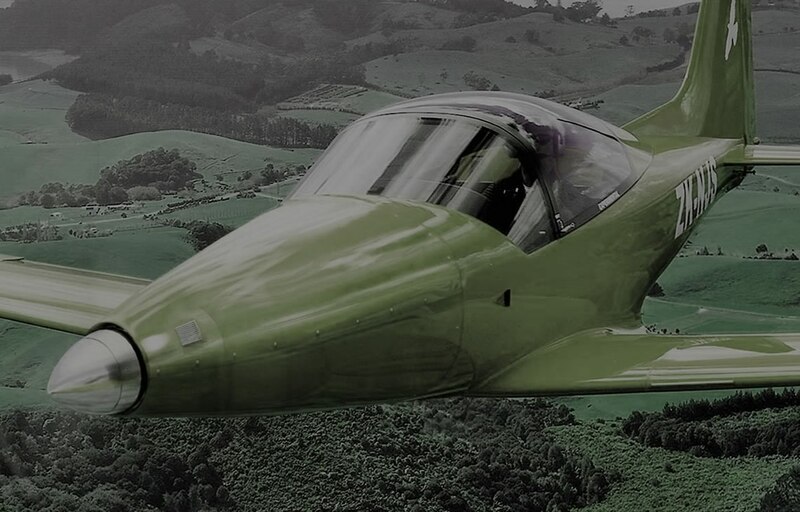 This allows the use of simple and extremely robust fixed pitch propellers with the ability to provide thrust reversal in light aircraft whilst exceeding variable pitch propeller efficiency. Big advantages are low cost and maintenance free operation. For the first time this offers light aircraft the opportunity to shorten landing runs and to improve ground handling and safety. In certain types of aircraft this feature offers a unique method of rapidly reducing speed and enhancing manoeuvrability in flight. To achieve this our Partners “Hercules Propellers Limited” are undertaking an advanced research program assisted by UK government funding to optimise pitch, blade shape and associated geometries for the manufacture of fixed pitch, reversible contra rotating propeller pairs. The CRP system utilises two 750 Series Axial Flux YASA motors each providing a maximum power of 112.5kW (150 hp). These motors, developed by our supply Partners, YASA Motors Limited, offer the highest energy density of any electric motor in the class and have a unique topography allowing them to be mounted in tandem directly on coaxial propeller shafts. The result is an extremely powerful, compact and light weight propulsion unit. The company also provides the matched power inverters, controllers and cooling systems for the motors. The design and manufacture of the power supply system is provided by our partner POTENZA LIMITED. This company is a leading provider of high specification rechargeable battery systems for power trains. To meet the demanding requirements of an airborne electrical energy supply system a novel hybrid battery system has been developed by the company. A high output battery pack supplies 225kW during high power activities such as take-off and climb to height. This duplicated supply is integrated with inverters, controllers and associated electronics within a carbon composite structural housing forward of the aircraft firewall and effectively turns the CEP system into a self-contained bolt on propulsion system. A second much larger battery pack delivers 75kW, sufficient for the cruise phase of a flight and can also recharge the high power pack. The secondary supply is installed in the airframe aft of the firewall and plugs into the nose supply via a firewall connector. Lithium iron phosphate chemistry has been chosen for its safety, energy density and cell form factor. Power is transmitted directly to two coaxial propeller shafts and propellers by way of splined couplings in the motors and on the shafts. The shafts and bearing systems are supported by spider assemblies bolted to the motor casings and mounted to the front of the composite battery box. The box is mounted to the aircraft firewall via the existing engine mounting attachment points. Vibration damping assemblies are not required. The design of the shaft assemblies and bearings ensure there is no single point failure mode and the CRPS system therefore provides full twin engine reliability. The propulsion system is designed as a direct replacement for piston driven systems in existing aircraft and as OME for new generation GA aircraft. Batteries, inverters and all other electronic and power control equipment serving the propulsion system are housed in a high strength carbon composite structural casing. The battery casing is constructed from carbon fibre over Nomex honey comb sheeting and lined internally with glass insulation. Motor and bulkhead mounting points are strengthened with metal inserts. The structure is autoclaved for maximum strength. The structure bolts directly to an existing aircraft firewall via the engine mounting points. The propulsion unit, complete with propellers, bolts directly to the front of the battery box. With benign vibration characteristics, minimal heat and no exhaust output the arrangement places less stress and shock loading on an aircraft fuselage than the existing internal combustion systems. Despite being a true “twin engine” arrangement the pilot has full control over the wide range of propulsive power through two simple propeller rpm controllers fitted in the cockpit. Being electric there are no engine mixture or manifold pressure controls and no necessity for engine management during engine start up, altitude changes, in icing conditions or during shut down. The huge range of propeller speeds, high torque and reverse capability of the electric motors eliminates the need for variable pitch propellers. The unique design of the fixed pitch propellers allows full “torque free” thrust reversal on the ground or in flight, a feature unique to contra rotating electric propulsion systems.